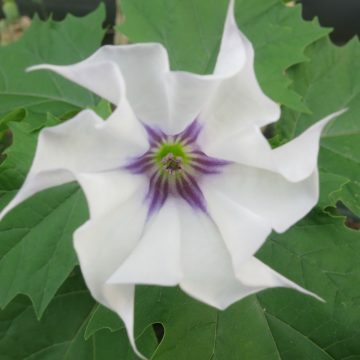 Datura Discolor is a trumpet-shaped flower in the nightshade family that is related to brugmansia, belladonna and henbane. 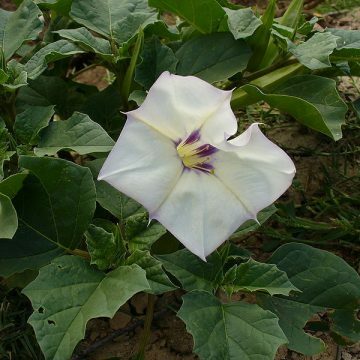 Datura Discolor is also known as Desert Thornapple, which is indicative of the plant?s native habitat in the Sonoran Desert. 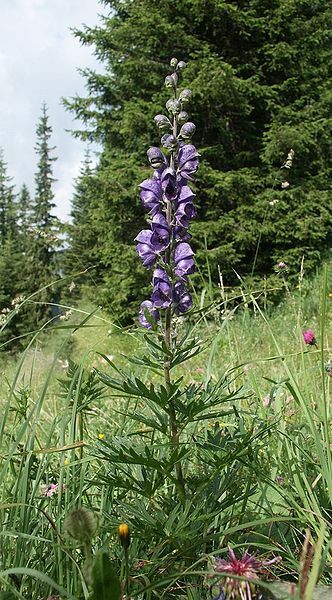 The name “discolor” refers to the combination of colors in the flower. The angelic white flowers of this species are similar to those of datura metel “belle blanche”. But they possess the streaky purple throats that are characteristic of datura stramonium var. lilac le fleur. 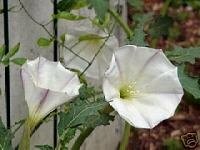 The term thornapple refers to the spiky seed pods of datura plants that form once the flowers have fallen off. As if the spikes did not make it apparent, thornapples are not your everyday edible apples. 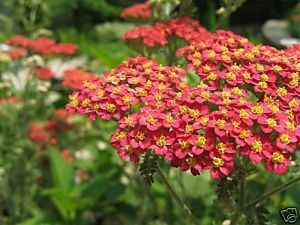 They contain toxic tropane alkaloids, and so the flowers should not be grown in the vicinity of curious animals or children. 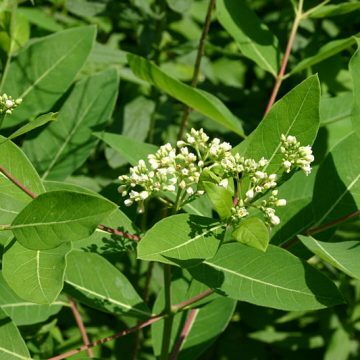 The plants have traditionally been used in homeopathy and wicca, but this should never be attempted by anyone but very skilled and experienced practitioners. Daturas and Brugmansias have been gaining popularity as ornamental plants, due in large part to their large trumpet-shaped blooms. 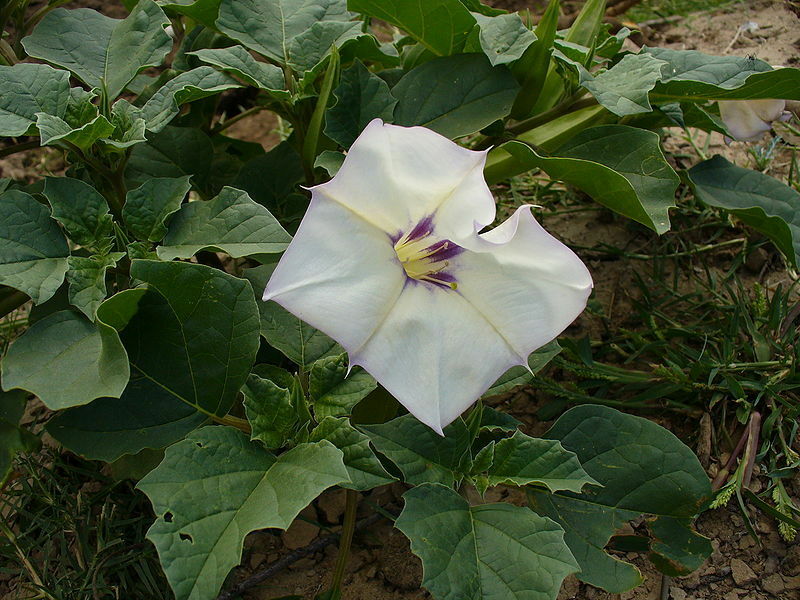 The blooms of datura discolor can measure over six inches in diameter. The flowers of discolor are very short-lived, but the plant produces numerous blooms that continue over the course of the season. Growing Information: Many species of datura contain germination inhibitors in the seeds as a mechanism to stagger germination in the wild, which increases the overall survival of the species. This makes these seeds very hard to germinate. These seeds can been pre-treated with GA-3 for increased, quicker and more even germination. Otherwise, seeds can be soaked prior to planting. Datura seeds should be planted just below the surface of the soil (about 1/8″). They can be direct sown or transplanted after the seedlings have developed their first set of true leaves. Plants will grow in almost any soil type. It is important that the soil be sufficiently warmer for metel to sprout than for datura stramonium. Keep in mind that the soil temperature does not equate to air temperature. Somethines a heat lamp, such as those used for reptiles, is useful to raise soil temperature. Germination may take all season. If so, you can bring plants indoors to replant the following season. A well-draining, nutrient-rich soil such as a mix of sand and compost will produce drastically better results with taller, wider plants that have bigger blooms and more pods. For best results, situate plants in full sun to nearly full sun.